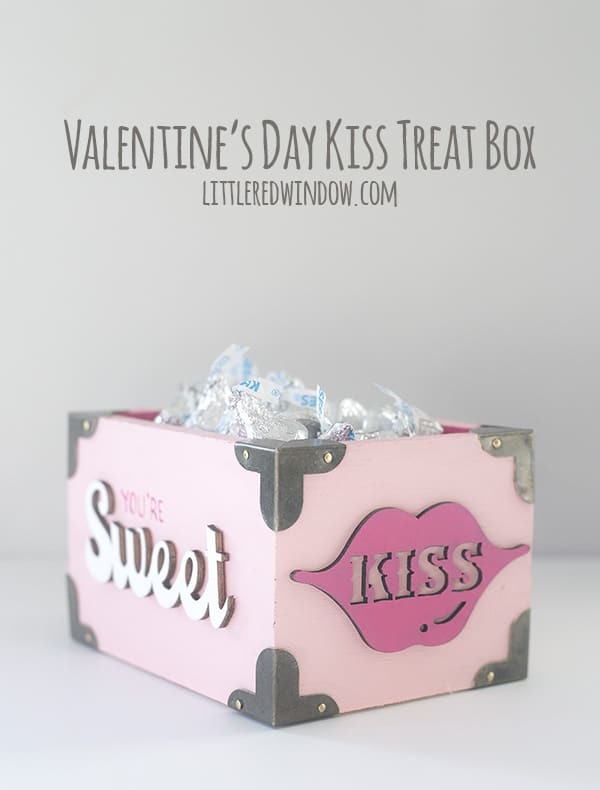 This cute little Valentine’s Day Kiss Treat Box will be a fun surprise for your kids! 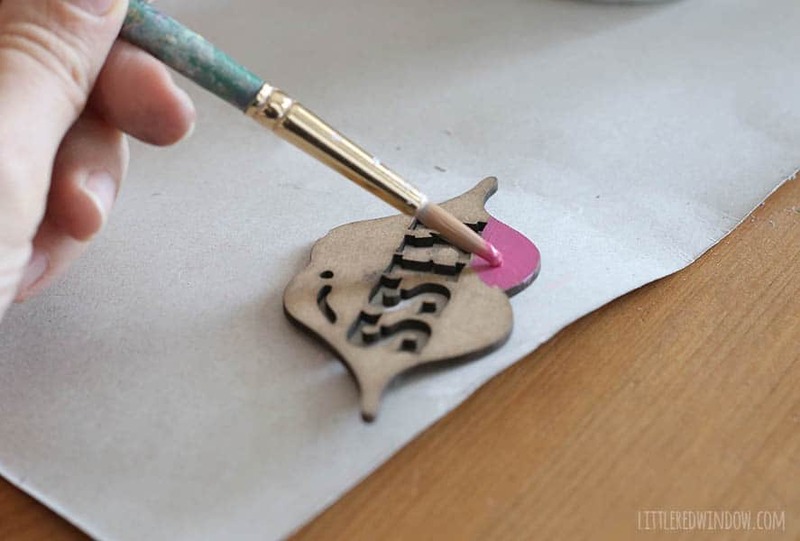 Wood “Sweet” and “Kiss shapes – if you can’t find the ones I used at Michaels, THESE would be really cute! 1. 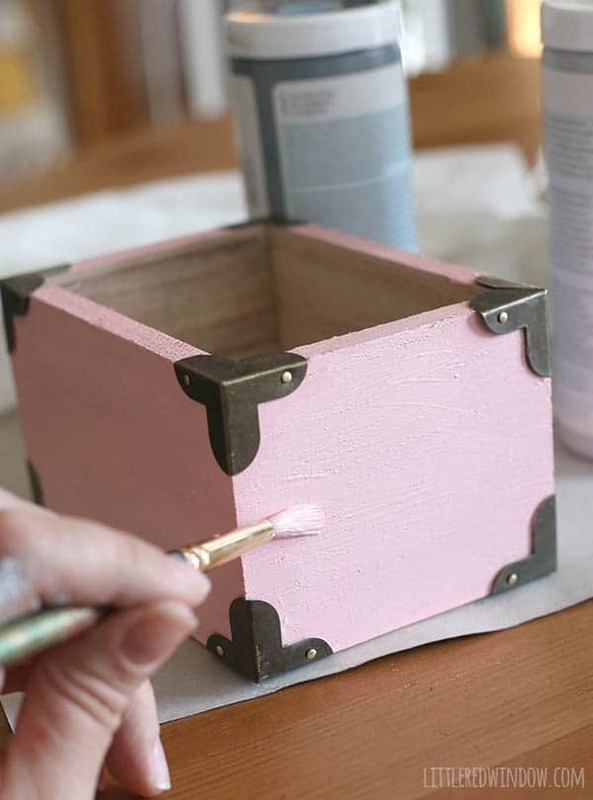 If necessary, give your wood box a light sanding to take care of any rough edges. Then paint the outside light pink. 2. 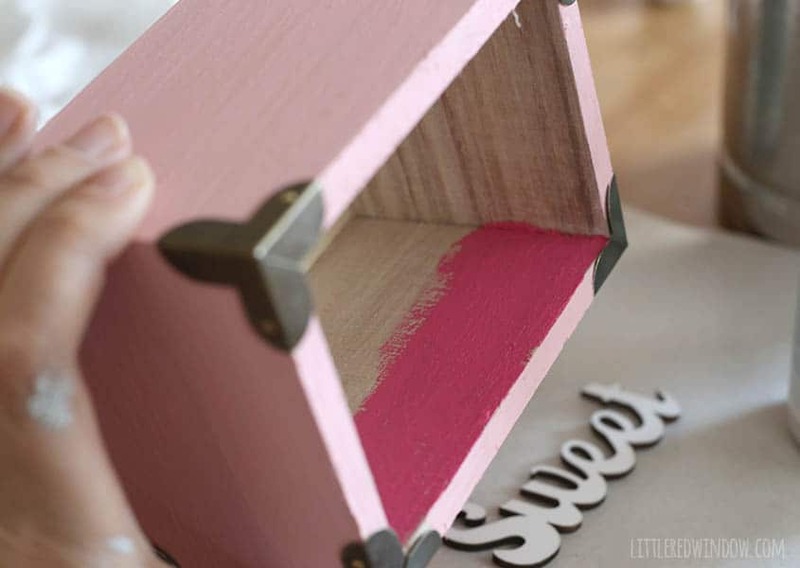 Paint the inside bright pink. If you need to, tape off the top with painters tape so you get a nice clean edge between the colors. 3. I painted the “Sweet” shape white and “Kiss” lip shapes hot pink. 4. When everything is dry, hot glue your shapes to the wood box. 5. 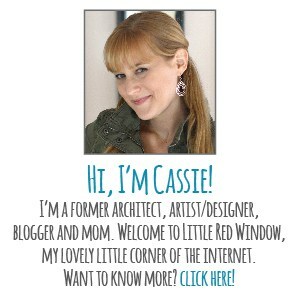 I used a tiny paintbrush to add the word “You’re” above “Sweet”. 6. 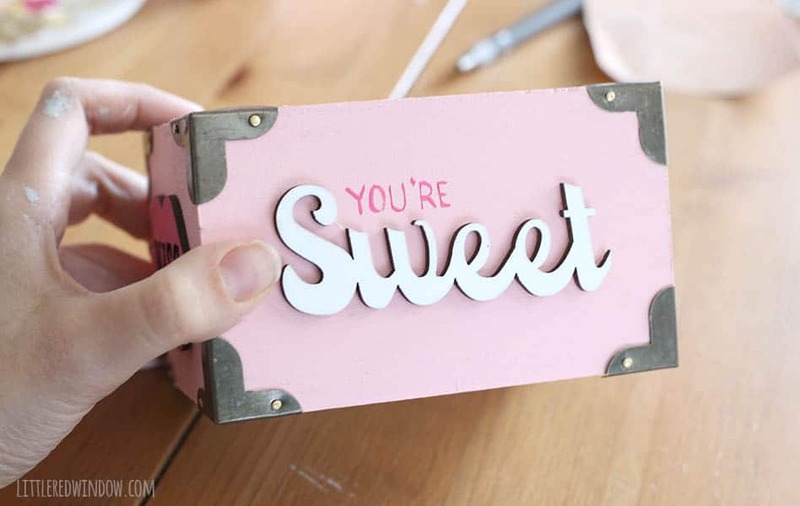 Fill your adorable new Kiss Treat Box with candy for Valentine’s Day! 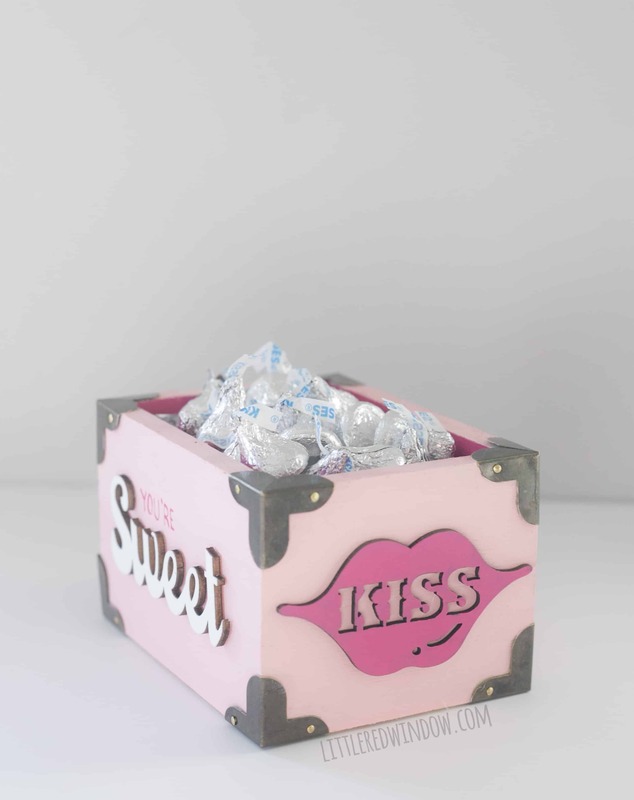 Obviously I went with Hershey Kisses since my box says “Kiss” on it…but you can pick your favorite!